Buy 80 or more for $8.54 each. 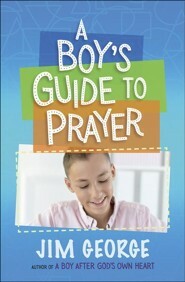 A Girl's Guide to Prayer from Elizabeth George is a wonderful tool for girls ages 8 to 12 years. Prayer is one of the most important parts of a close relationship with God, but it can be hard to explain that to a child. 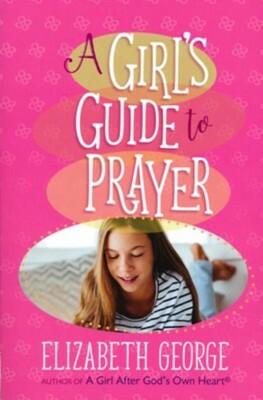 This book teaches girls what prayer really is, how to pray effectively, and what they can pray for. Each chapter contains relevant Scripture, fill-in-the-blank sections designed to aid young readers in retaining the verses they just read, and a sample prayer for girls for pray. Elizabeth George, whose books have sold more than 9 million copies, is the author of A Woman After Gods Own Heart® (more than 1 million copies sold) and A Young Woman After Gods Own Heart. Shes also a popular speaker at Christian womens events. Elizabeth and her husband, Jim, are parents and grandparents, and have been active in ministry for more than 30 years. I'm the author/artist and I want to review A Girl's Guide to Prayer.